The Sightmark LoPro Green Laser features a low profile design, allowing it to be mounted in front of a riflescope without interference with field of view. Designed to be mounted on a picatinny or weaver rail for an AR-15, the LoPro Green Laser can also be mounted on the side of the quad rail. The laser is offset for clearing the front sight post. It is heat- and corrosion-resistant, impact-resistant, waterproof and shockproof. 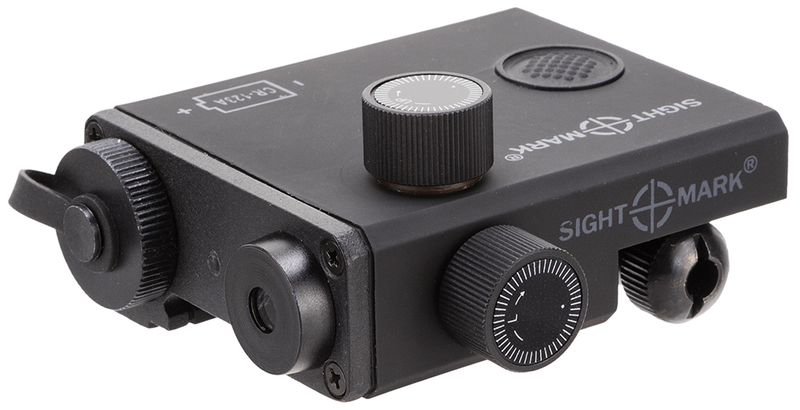 The Sightmark LoPro Green Laser takes one CR123 battery and has 27 hours of battery life. It comes with Velcro strips so the switch can be mounted.